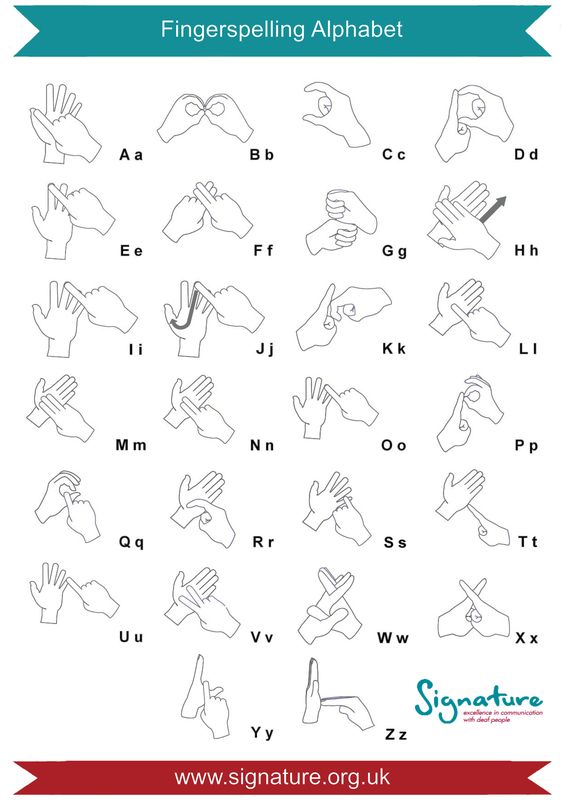 Sign Language Week ran from 18th – 25th March 2019. This year, Signature is focused on increasing awareness of British Sign Language, whilst encouraging more people to learn the language. The positive impact of BSL on thousands of Deaf and hard of hearing people is often underappreciated. Our goal is to make everyone realise the importance of BSL, and how awareness can make a big difference. The success of the Oscar winning film ‘The Silent Child’ has proven that audiences worldwide have a keen interest in Sign Language, as well as demonstrating the need for more ambassadors to help promote change. Organisations such as British Airways, Mars and Aldi have also begun to recognise the importance of BSL, and have recently produced TV adverts featuring the language. Signature has achieved a vast amount over the past twelve months. In addition to improving the ways in which we communicate with our learners, we have made positive changes in our fight to get a GCSE in British Sign Language. Sign Language Week 2019 saw Signature have nearly 4m people using #SignLanguageWeek and #SignWithSignature and over 130,000 videos views across the 7 days. To help us raise awareness of BSL, we have enlisted the help of friends of Signature. MP’s, celebrities, sports clubs and notable organisations have become involved by signing on camera for us. We hope that this shows that support and understanding of BSL continues to grow, and that opportunities for people to get involved and learn are now more accessible than ever. 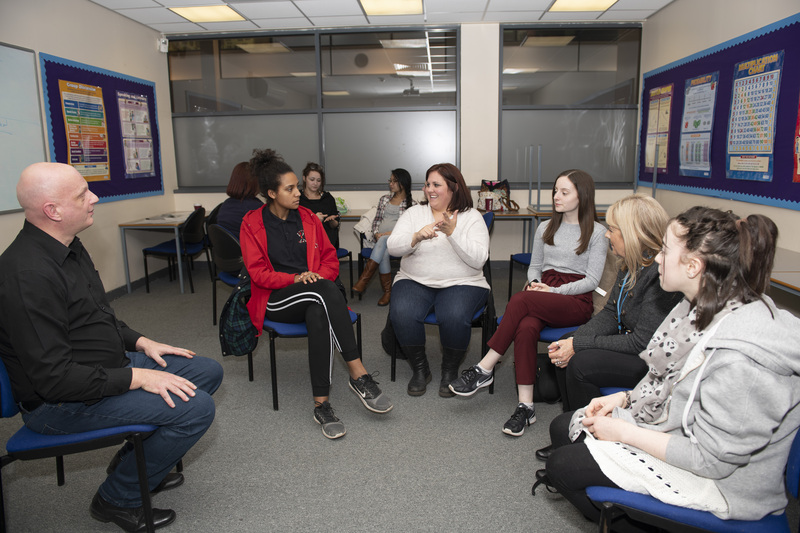 To coincide with Sign Language Week 2019, Signature is offering one lucky winner the opportunity to study Level 1 in BSL at a centre of their choice. This is the first time that Signature has offered such an exciting prize, and we are pleased to be able to give someone the opportunity to begin their BSL journey with us. The prize will include fee’s paid directly to the centre (including all lessons and first assessment fees) and a one year subscription to Signature’s support package - BSLHomework1. The qualification is taught face-to-face at one of Signature’s approved centres, in a classroom style environment. The prize is worth up to £700! To see if there if there is a Signature centre in your area, you can use the ‘start learning today’ search facility on the right of this page. Simply enter your post code and the Signature centres in your local area will be listed. To enter, all you need to do is fill in the form below and follow us on social media. Before entering, it is important that you read and understand the terms and conditions of competition entry. You can find these terms here. British Sign Language (BSL) was recognised by the government as a language in its own right in March 2003. BSL is the first or preferred language of an estimated 70,000 Deaf people in the UK. BSL is a visual-gestural language, with its own grammar and principles, which are completely different from the grammatical structure of English. We offer qualifications in British Sign Language from Level 1 to Level 6.
Who uses British Sign Language? There are some 150,000 Deaf adults and children in the UK who use BSL and for 70,000 of them, BSL is their preferred means of communication. Why is British Sign Language important? Many people view sign language as a means of communication for someone who has been profoundly deaf from childhood. It is important for us view BSL as a language in its own right, used by both Deaf and hearing people in the UK. There are currently 10 million people suffering from hearing loss in the UK and more than 800,000 are either severely or profoundly deaf. Where can I Learn British Sign Language? There are 11 million people with hearing loss across the UK, that's around one in six of us. By 2035, we estimate there'll be around 15.6 million people with hearing loss across the UK - that's one in five. There are 50,000 children with hearing loss in the UK. Around half are born with hearing loss while the other half lose their hearing during childhood. An estimated 900,000 people in the UK have severe or profound hearing loss. We estimate that there are at least 24,000 people across the UK who use British Sign Language (BSL) as their main language (although there are likely to be more that we don't know about). More than 40% of people over 50 years old have hearing loss, rising to 71% of people over the age of 70. Around one in 10 UK adults has tinnitus. What career paths could I follow? Completing a Signature qualification could lead you on the path to a number of exciting careers. If you have been inspired to learn British Sign Language with Signature, you can find a centre in your local area that currently offers our qualifications. You can find the centre search tool here.